The 28-acre proposed casino site at Dutcher and Lennon roads remains undeveloped, same as it was more than three years ago when purchased by the Bay Mills Indian Community. FLINT TWP. — It has been more than three years since the Bay Mills Indian Community of Brimley purchased 28 acres of undeveloped land at the northeast corner of Dutcher and Lennon roads, proposing to build a casino. But the plan raised legal questions leading to lawsuits that resulted in a court order to shut down a similar Bay Mills casino in Vanderbilt. As a test case, it also put the brakes on proposed casinos in Flint Township and in Port Huron. But the end may be in sight. 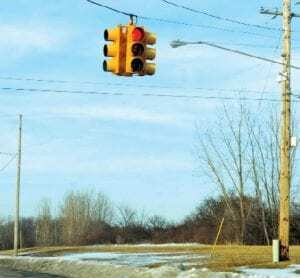 Last month, the U.S. Supreme Court heard Michigan vs. Bay Mills Indian Community, a lawsuit filed by Michigan Attorney General’s Office. There is no timeline on when, or if, the high court will render a decision, but rulings are said to generally come within two and a half months. Michigan Solicitor General John Bursch presented oral arguments before the U.S. Supreme Court regarding Michigan’s challenge to the legality of Bay Mills expansion of off-reservation gaming, according to a news release from the AG’s office. The case appeals a 2011 ruling by the U.S. Court of Appeals for the 6th Circuit that reversed a federal-court injunction against the Vanderbilt casino because the tribe has sovereign immunity. The Vanderbilt casino opened in 2010. Bay Mills purchased the Flint Township property in November 2010, according to legal records. Schuette concluded that the Supreme Court should hold that tribes have no immunity from suit regarding illegal casino gaming, whether on- or off-reservation. Schuette sought U.S. Supreme Court review in October 2012 and his petition was granted in June 2013. While the case had wound its way through the legal system, Bay Mills officials have visited Flint Township to discuss plans for the site, including arrangements for collaborative fire and police protection that would establish safeguards for the community at-large. Indian lands, as defined by federal law are not subject to the jurisdiction of local or state law enforcement. Recognized as a sovereign government, Bay Mills is exempt from state and local laws. Bay Mills legal argument, based on its interpretation of state and federal laws, is that any land purchased with Indian funds becomes Indian land. The proposed Flint Township casino would be about 200,000 square-feet and provide about 700 jobs, according to Jeff Parker, who was then executive council president of the Bay Mills Indian Community, when he spoke to the West Flint Business Association in 2011. Parker and tribe legal counsel also spoke at a Flint Township board meeting. Tribal land is exempt from paying property taxes but the township would receive about two percent of the casino’s gross receipts which could amount to about $2-$4 million a year, Parker said. If the courts rule against Bay Mills right to operate off-reservation casinos, the tribe’s alternate plans for the Lennon Road property might include a charter school or a manufacturing facility, Parker said.